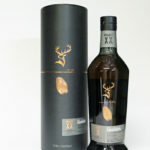 This entry was posted in Whisky Tastings and Events News on 15 January 2011 by Mike. Tickets are now on sale and going well. Two WSD events are already sold out. I'm very pleased with the programme The WSD has on offer this year. In the end we had more companies wanting to do tastings than we had space for. The Friday evening event we had planned is now on hold until the Autumn Festival so we may well have an extra event coming on line in due course - otherwise we'll be in The Oak. We have left Saturday evening open as we are off to Strathisla to the Cask Strength Whisky Pub Quiz where I am captaining a team! No pressure at all. Obviously all the WSD events are a must but I looked through the programme to see what other events I would go to if I could. On Thursday it has to be the Benromach manager's tour. I love being shown round a distillery by the manager. You get to ask all those questions that whisky anoraks are always aching to ask and distillery managers always have an employee to answer them for you 😉 Or there is the Argocat tour which is a whole lot of fun. Following the manager's theme Friday is the Glenfiddich manager's tour but there is also an intrigiung event on at Glenfarclas. Anything with George is going to be fun and all that old Family Cask whisky, well... I could probably just about squeeze it in but I wouldn't want to be late for the opening tasting of The WSD programme with Jan Beckers from Douglas Laing - I've got my negotiation hat on with Jan so this should be a cracker. On the other hand the Glenfarclas event is celebrating Kate's wedding to William. Does Mark Watt know or is William his real name (Will Watt not being a name he liked) and why wasn't I invited? And why not finish up on Friday with the Aberlour dinner - now our Friday evening event is cancelled I could actually go to this. I thinks it's been 10 years since I made it last time. Dave Broom is doing a number of book signings during the festival. Dave does need your support. To keep Dave in the condition he is in takes a lot of hair product. Buying just one of his books will keep him in conditioner for a day. Please give generously to this worthy cause. Saturday has to be the warehouse man's day at Benromach but there's also the historic drams at Glenfarclas. Tricky! And either would mean you miss my tasting of 40 year old whisky. There is also the Balvenie Malt Master tour which is going to be exceptional if you can get on it. But you certainly have to end the day with the whisky quiz at Strathisla - did you see those prizes on offer. Sunday looks like it's got to be Dave Broom and Benrinnes. Hope the weather holds otherwise the hair..... Or what about the Speyside Sherry Extravaganza at Gordon & MacPhail - hmmm sherry cask whisky! As for Monday, I have looked at the programme and while I would obviously recommend being in Dufftown everyday can you actually beat the chance to go to a tasting with David Stirk, followed by Stewart from BenRiach and then Mark Watt? That would be a very happy day! I think the forecast for the festival is very good with the outlook being quite stunning.